NJ Weekend Historical Happenings: 2/9/19 - 2/10/19 ~ The History Girl! The Friends of Abraham Staats House, Inc., in conjunction with the South Bound Brook Historic Preservation Advisory Commission, and in partnership with the Women's Guild of South Bound Brook, is proud to present its 17th edition of the award winning "Tory Jack Day" program. The annual event in honor of Black History Month celebrates the contribution and sacrifices of Afro-Americans in the foundation of our nation. This year’s presenters are Joseph Becton and Antoine Watts. Their program, “Music of the Civil War,” illustrates through words and performance the development of this American art form. Mr. Becton, a retired National Park Service Interpretive Park Ranger, has been recognized with the Community Service award for setting a standard of excellence in interpretation and for his role in connecting Americans to our national parks through wonderful stories and varied media. Mr. Becton now directs Joe Becton Tours and Historical Services and most recently has been proclaimed a Certified Master Guide by the Association of Philadelphia Tour Guides. Mr. Watts, historical interpreter, performer and musician, accompanies Mr. Becton in the presentation. Mr. Becton and Mr. Watts will present at 11:00 am on Saturday at the historic Abraham Staats House located at 17 Von Steuben Lane, South Bound Brook, NJ. Seating begins at 10:30 am. Admission is $10 per adult and children 12 and under are free. The building will close at 1:00 pm. 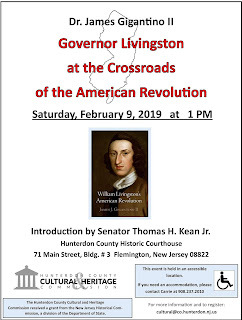 The event, entitled "Governor Livingston at the Crossroads of the American Revolution," will be held on Saturday at 1:00 pm at the Hunterdon County Historic Courthouse in Flemington, NJ. 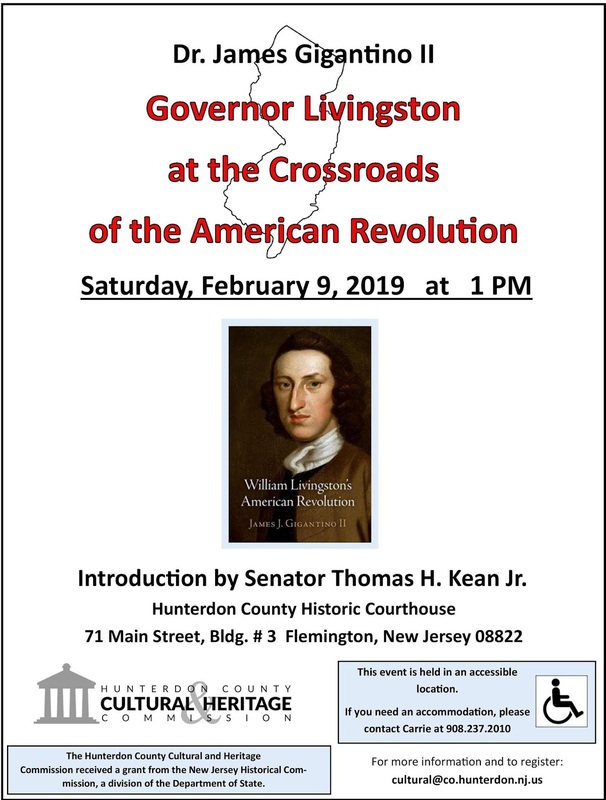 Copies of William Livingston’s American Revolution will be available for purchase following the talk. Anyone interested in attending is encouraged to register by emailing cultural@co.hunterdon.nj.us. Parking is available in the county lot on Court Street. The historic courthouse is an accessible location. 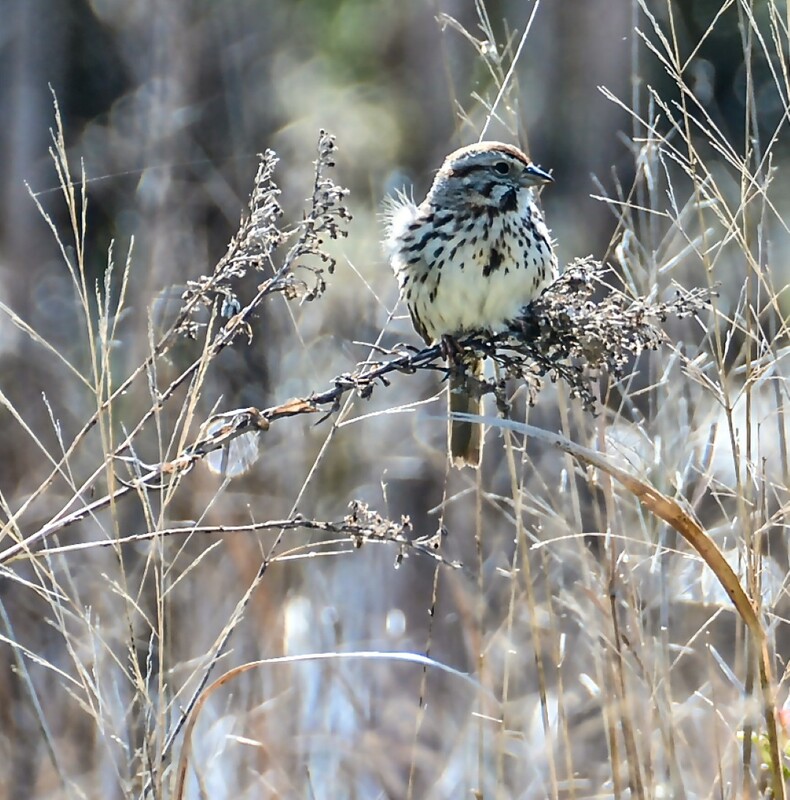 Tree tapping experts will demonstrate the tools and equipment used in both traditional and modern production systems in the sugarhouse where sap is made into syrup. Visitors to the sugarhouse can sample maple syrup and try their hand at making a homemade tap. A tree tapping workshop will be held at 11:00 am, 1:00 pm, and 3:00 pm. Join us at the Franklin Township Public Library on Saturday at 2:00 pm for a film screening of Hidden Colors 4: The Religion of White Supremacy (2016) followed by an opportunity for discussion. Hidden Colors is a documentary series about the real and untold history of people of color around the globe. In this installment, the film explores topics such as the motivation behind European global subjugation, the history of rarely discussed vast West African empires, how germ warfare was used on melanated people, and the history of slave breeding farms in America. Light refreshments will be provided. This program is offered in partnership with Melanated Minds. Registration is requested but not required. Interested individuals can register via the library’s website at www.franklintwp.org or by calling 732-873-8700. This program is free and open to the public. The Franklin Township Public Library is located at 485 DeMott Lane, Somerset, NJ 08873 in the municipal complex. Join us on Saturday from 2:00 - 4:00 pm for a dynamic presentation of what Michael Burns has found while metal detecting at Paulsdale for the past 18 months. He has accumulated artifacts spanning 200 years of history! With “finds” dating back to 1776, Mike’s presentation is sure to intrigue and fascinate. Admission is $5 per person. Mr. Burns has lived and worked in Mount Laurel the past 30 years. He is a Senior Principal and Regional Land Surveyor at Maser Consulting, an ENR Top 500 Engineering Design firm. He has over 35 years of Land Surveying experience and is a member of the West Jersey Surveyors Association (SAWJ) and the New Jersey Society of Professional Land Surveyors (NJSPLS). He is also a member of the South Jersey Metal Detecting Club (SJMDC) and the Mount Laurel Historical Society. Paulsdale is located at 128 Hooton Road, Mount Laurel, NJ. For more information, call 856-231-1885, e-mail info@alicepaul.org, or visit www.alicepaul.org. A little history and fun for the whole family! The Passaic County Historical Society is offering a free craft activity for children of all ages on Saturday and Sunday from 1:00 pm - 4:00 pm at Lambert Castl, home of the Passaic County Historical Society. Learn about early Valentine cards and the evolution of the holiday and also have a chance to make your own Victorian-style Valentine. This activity is free with regular museum admission. The activity will be ongoing throughout the museum's open hours. 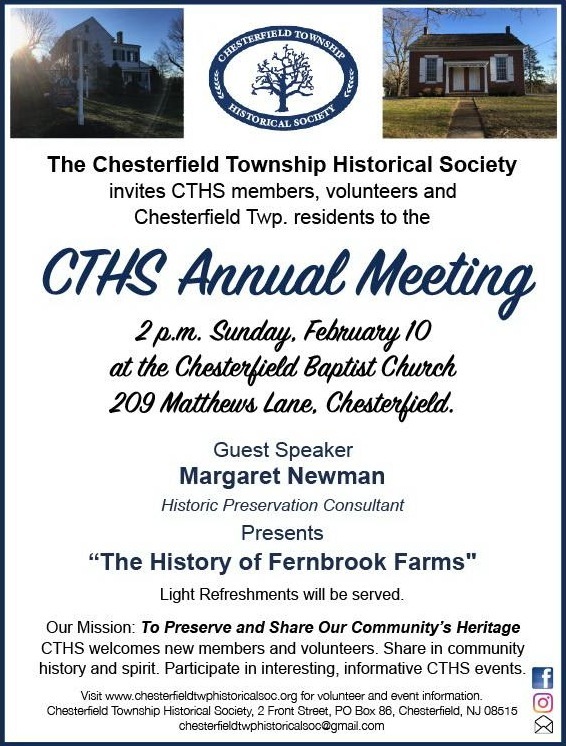 "The History of Fernbrook Farms"
Every year, the third Monday of February is set aside by the federal government to honor two of our greatest Presidents, George Washington and Abraham Lincoln, and their contributions to the nation. Visit the Miller-Cory House Museum on Sunday to learn about this special holiday as well as fun facts about these two presidents. The program includes a craft, storytelling, and light refreshments. The program includes tours of the fully restored circa 1740 farmhouse museum. Admission is $4 for ages 13 and older, $3 for ages 3-12, and free age 2 and younger. 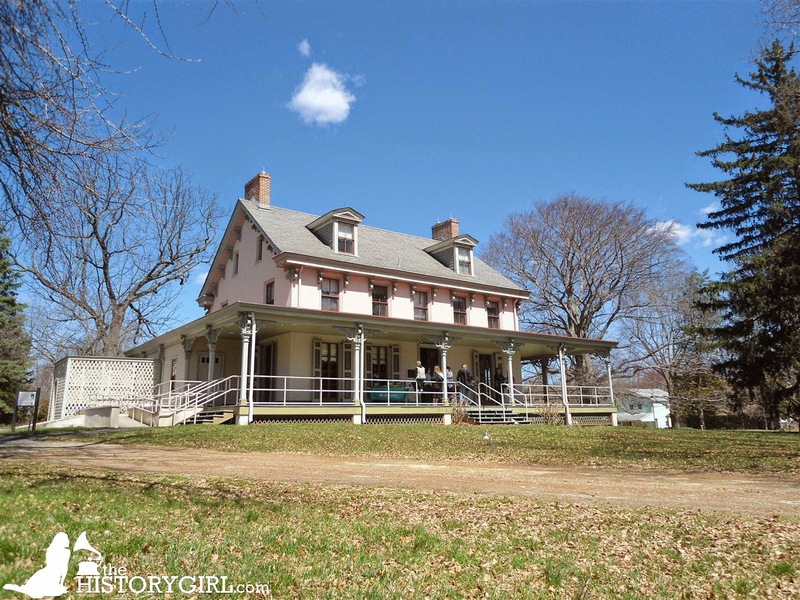 The Miller-Cory House Museum is located at 614 Mountain Avenue, Westfield, NJ. For more information, call 908-232-1776, e-mail millercorymuseum@gmail.com, or visit www.millercoryhouse.com. The Union Township Historical Society will host open houses from 2:00 - 5:00 pm on Sunday, February 10, and Sunday, February 24, at the Caldwell Parsonage, 909 Caldwell Avenue, Union. In commemoration of Black History Month, an exhibit, "The Veterans of Vauxhall," by the Vauxhall Historical Society will be on display; as well as an exhibit by the UTHS on Eulace Peacock, Union High School Class of 1933 track star, who competed against Jesse Owens and later became his business partner. Paul Robeson's father was a former slave who became a minister with a Bachelor of Sacred Theology. Reverend Robeson moved his family to Somerville in 1910, because the high school was integrated. Paul was an All-American athlete, singer, film star, lawyer, and civil rights activist and hometown celebrity. Because of his quest for equality, his life was not without controversy. Marvin Jefferson has portrayed Paul Robeson since the 1990s and is an instructor at Bloomfield College. Mr. Jefferson studied acting at the Mason Gross School of Arts at Rutgers. This program will be held on Sunday from 2:00 - 4:00 pm. Seating is limited and registration is required. 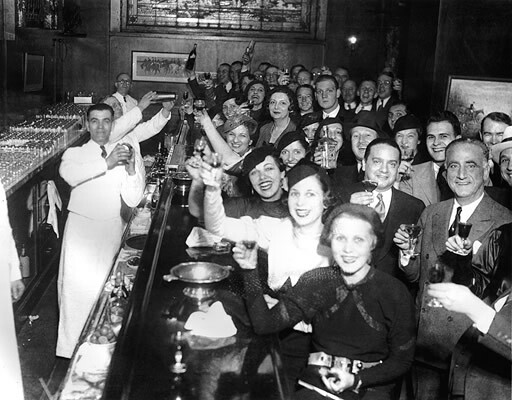 This FREE event is co-sponsored by the New Jersey Council for the Humanities (NJCH). Register here. 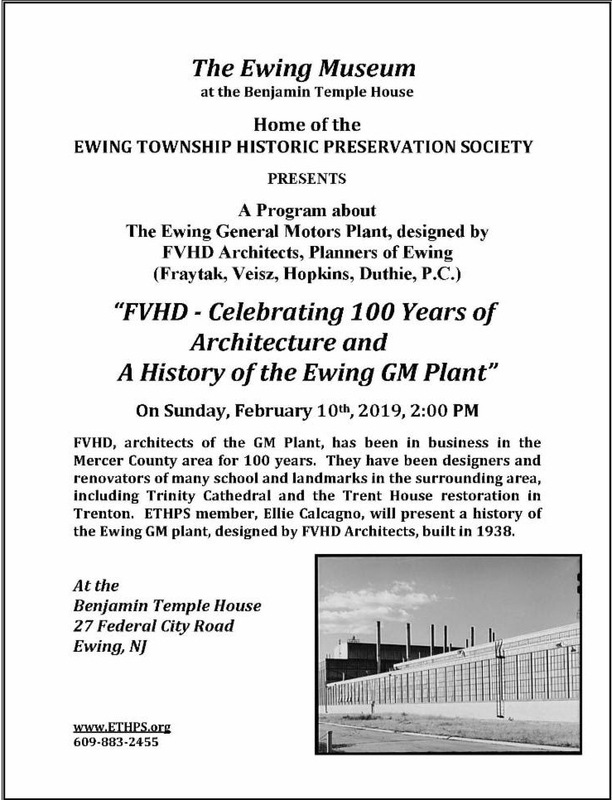 This program will take place at the Historic Phillip Van Horne House, 941 E. Main Street, Bridgewater, NJ. The Van Horne House is getting a facelift, so please keep the small parking lot for handicapped access only. General parking is available in the back of the Target store in the Bridgewater Promenade shopping center (200 Promenade Way). For more information, visit www.heritagetrail.org.